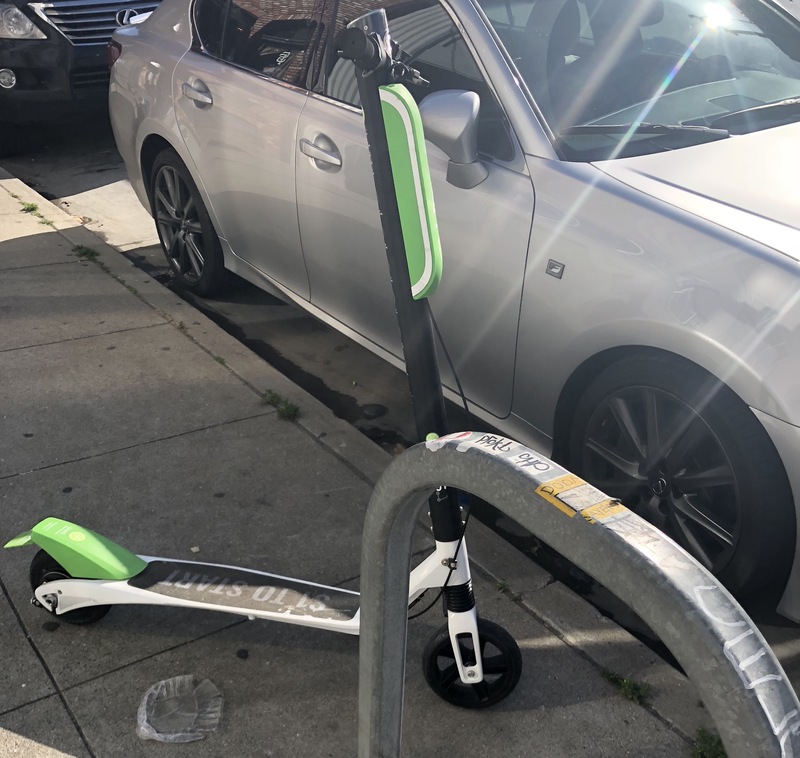 Bird, LimeBike and Spin deployed their respective electric scooter programs in San Francisco in April without receiving explicit permission from the city. The city has been working with the San Francisco Municipal Transportation Agency since late February to develop a permitting program. 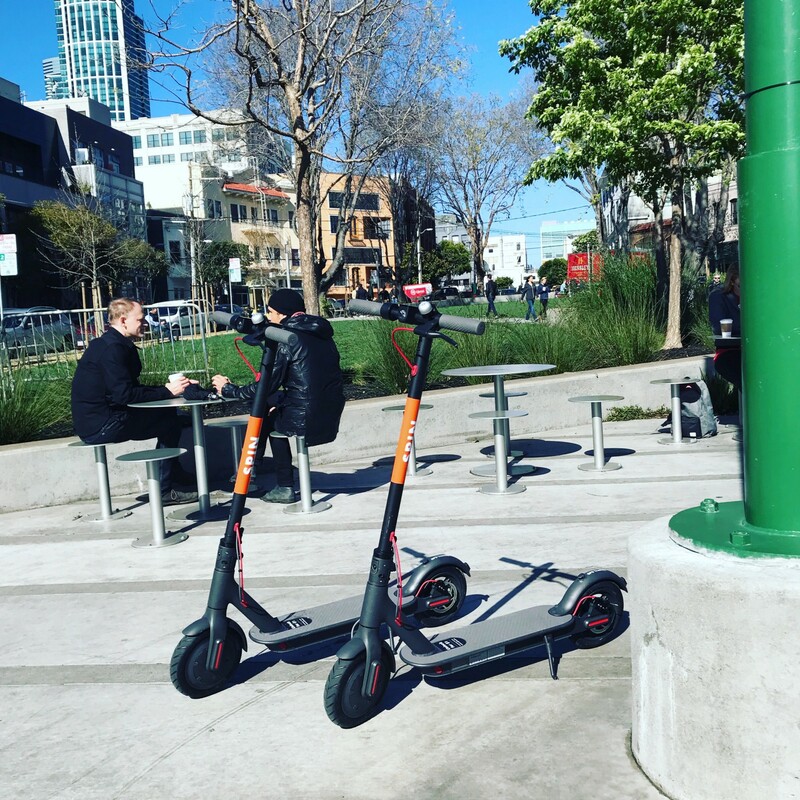 The San Francisco Board of Supervisors’ Land Use and Transportation Committee has been working with the San Francisco Municipal Transportation Agency to develop a permit process to enable the SFMTA to regulate e-scooter share companies. Today, the Committee heard proposed legislation regarding permitting and enforcement of shared, electric scooter programs. The next step is for this to move forward to the Board of Supervisors for further consideration. In the last month or so, three different scooter-share programs (from Bird, LimeBike and Spin) deployed their respective e-scooters without explicit permission. This has resulted in a number of scooters being left on the sidewalks and even on MUNI trains. “I’m very annoyed with how these companies moved forward the last couple of weeks,” Supervisor Jane Kim, a sponsor of the legislation, said today. The big takeaway from today is that all of these scooter companies jumped the gun pertaining to deployment in San Francisco. Similar to what the city did around dockless bikes, the city is looking to do the same with dockless scooters. The idea isn’t to ban them, but rather to ensure there are rules and regulations around scooters, and that they don’t cause a public nuisance. If all goes according to plan, the SFMTA said it hopes to open up the permitting process May 1. Earlier today, SF City Attorney Dennis Herrera sent cease-and-desist letters to all three of the companies, requesting a response by April 30. Although there is no proposed complete ban, it’s quite obvious that Supervisors Kim and Aaron Peskin are not happy with each respective startup’s approaches to launching their scooters in San Francisco without explicit permission. “It’s clear that many of these companies continue to build corporate empires off of a basic premise — making massive profit always trumps protecting the public and innovation is only possible by cutting corners,” Peskin said. In his opening remarks, Peskin also touched on how this is not emergency legislation, despite what Bird wanted some people to think. He also noted how he and other supervisors have received numerous complaints from the public about the recent proliferation of scooters. Many of those comments were vocalized today. In the public comment portion, residents expressed concerns of these scooters taking up too much space on sidewalks, and becoming hazards to seniors and people with disabilities. On a couple of occasions, citizens also spoke to concerns of arrogance and elitism that e-scooters represent. On the other side, members from a local community group in the Bayview neighborhood expressed how some of the companies, like Lime, are proactively working with their communities and even hiring community members to work for them. Representatives from Lime, Spin and Bird also chimed in. LimeBike said its looks forward to “a fair and transparent process that balances the real and serious concerns of the public.” Spin similarly said it has no intention of doing anything that conflicts with any local or state laws. Bird, on the other hand, went a step further and asked for a window to continue operating while the city figures out its permitting process. The proposed legislation looks to establish a violation for electric scooters left on sidewalks that do not have a proper permit from the SFMTA. “With a permit, we would require the scooter share companies to educate their users on how to ride and park responsibly and hold the companies accountable to produce good behavior from their users,” SFMTA spokesperson Paul Rose told TechCrunch. Following the public comment portion, the committee members had some specific questions for Bird and Spin. Supervisor Kim noted she’s seen several scooters that are tipped over. “Within the first week, I had seen several that had been pushed over,” Kim said, adding that she’s concerned about safety and the long-term viability of the programs. In response, Bird Director of Government Affairs Carl Hanson said the company can usually get someone out there within two hours, but Supervisor Kim said that’s too long. In response to a question about proper scooter parking, Hanson said Bird now requires users to take a picture at the end of the ride to prove the scooter is parked properly. While the SFMTA aims to open up its permitting process early next month, Supervisor Kim said she doesn’t see this working unless docking is in place. “I don’t think we can permit this until we figure out how to dock them,” Supervisor Kim said. The SFMTA, however, said the onus is on the companies to ensure proper docking and that it’s willing to work with each company around that process. Electric push scooters have recently hit the streets of San Francisco. Over the last couple of weeks, LimeBike deployed some scooters in conjunction with local festivities in the city. 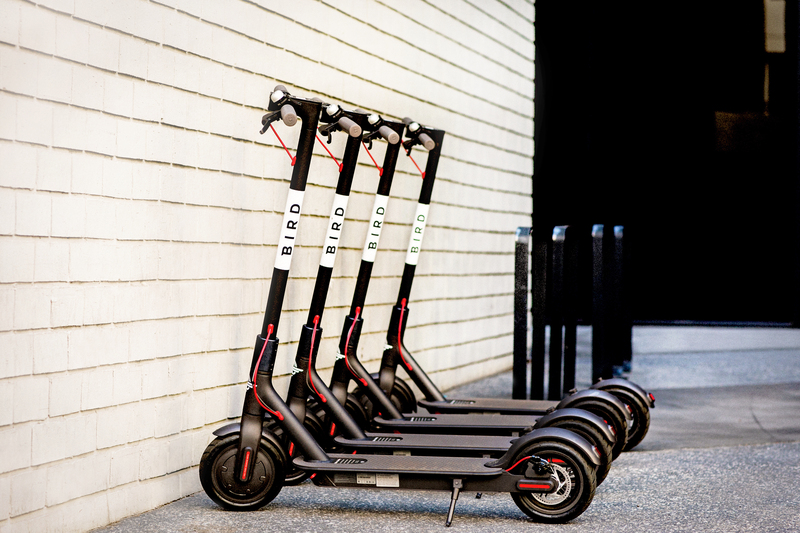 And just yesterday, Bird launched its scooters in San Francisco. Spin has also deployed some scooters in the city. As it stands today, these scooters from companies like LimeBike, Spin and Bird are currently operating in a bit of a legal gray area. In separate letters to Spin, Lime and Bird today, the SFMTA let each company know it is aware they have respectively placed shared electric scooters on the sidewalks. The SFMTA is asking each company for their respective business plans, detailing how they will comply with the city’s requirements around the use of sidewalks, plazas and other public spaces. The SFMTA also wants the plans to describe if and how the scooters will use any bike racks or other existing infrastructure, if there will be any new types of infrastructure built, how it will ensure there’s not over-concentration of scooters in one area, how many scooters the companies plan to deploy and how the companies will ensure the scooters are maintained. “We will not tolerate any business model that results in obstruction of the public right of way or poses a safety hazard,” Reiskin wrote. Update 9:48pm: Spin has since gotten in touch with TechCrunch to say the company has been “completely transparent” with the SFMTA and members of the SF board of supervisors. Since these companies have already deployed their scooters, the SFMTA is asking to receive a response by the end of next week. While scooter-sharing isn’t explicitly outlined in the city’s transportation code, it is illegal to place a scooter in a way that obstructs the sidewalk, the SFMTA spokesperson said. It’s also illegal to ride these scooters on sidewalks, and ride them without a helmet. LimeBike, which unveiled its scooters last month, has been in communication with elected officials and the SFMTA, noting that there are no city ordinances that prohibit a shared scooter system in the city, a LimeBike spokesperson told TechCrunch. While the city works to regulate scooter sharing, LimeBike says it is a limited pop-up program. A JUMP bike alongside a Bird scooter in San FranciscoEarlier this year, the SFMTA granted an exclusive, 18-month permit to electric bike-sharing startup JUMP. The program is designed to enable the SFMTA collect data and assess if a program like this will work in the long-term. Similar to what the SFMTA did around car-sharing, the aim is to better understand the needs and impacts of this type of mobility service.